My Technique & Tool Usage Card Club meets this Saturday! (the third Saturday of each month). 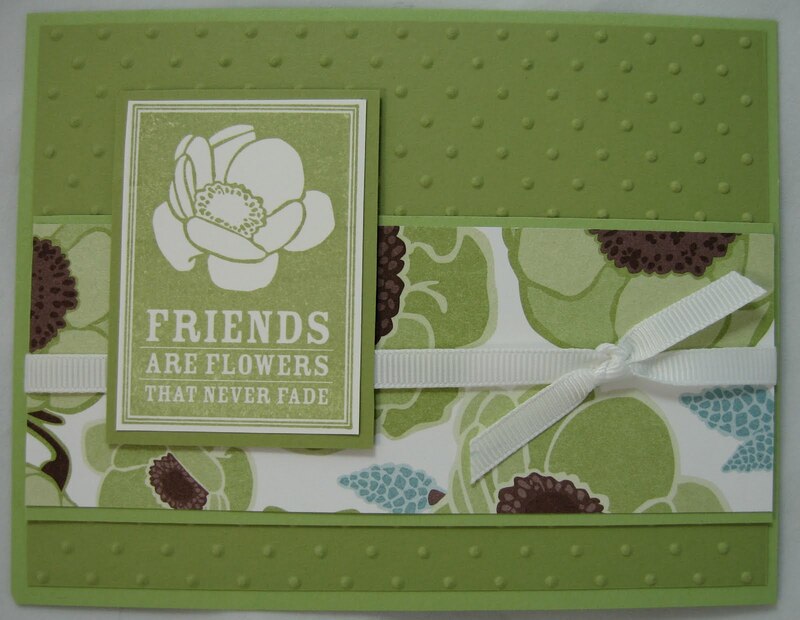 This month the Techniques we are working with are: Heat Embossing and Dry Embossing. The Tools we are working with are: the Big Shot and the Heat Gun. The first card, we are using an embossing folder, they are the easiest, but I will also get out my plates so they can have a try at that. These cards aren't challenging with 50 steps, so my ladies will love them. Sometimes, you just want to make a card in under an hour. Know what I mean? Thank you for looking! Have a wonderful week, its half over, so its all downhill from here! Hi Sharon, thank you so much for visiting my blog and leaving a comment. Isn't Recruit Crew great! 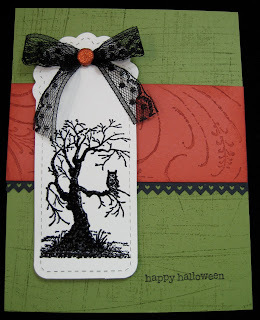 I really like what you did with the Halloween card. The tag die is one I use often with my Big Shot.